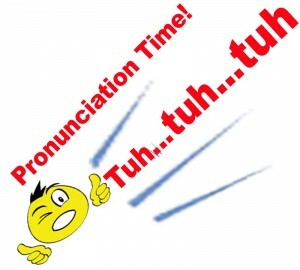 The preposition to is usually pronounced like tuh in everyday natural English pronunciation. For today’s lesson, I’m going to show you how we pronounce to this way in everyday English. Are you enjoying these lessons? Please help me out by leaving a review on iTunes or Stitcher. Thanks! I have to leave early today. I drive to the train station every morning. Let’s go to the beach tomorrow! Give this pen to Jane. I sent a package to my uncle. Can you take these dishes to the kitchen. I want to go to the post office to send a package to Jack. We need to get to the bank to ask about our account. These day’s NYC seems to be a safe city. Why was Michael’s day busy? If you know anyone who has trouble with this English language point, why not help them out! Just share this lesson with them. Thanks for studying today! Do you have question about English? Are you confused about something in English? Just click the Ask me a question button on the left side of the screen and record your message. I’ll answer all voice messages in a future podcast! Do you want to learn 365 American English Idioms? Get my book. You can download it below (a pdf) or get it for your mobile device or in paperback @ Amazon!